If you are looking for a mortgage, would like to remortgage your property, or release the equity in it, you will find it easy to seek help from Sentry Advice who are based in Uckfield High Street. Our Southern Co-operative Funeralcare home in Uckfield offers support and guidance for local families through the difficult time of arranging a funeral. Our friendly team provide a warm and personal service, ensuring the highest standards of care for your loved one and family. Country House Hotel and Fine Dining Restaurant in secluded landscaped gardens near Uckfield. A venue for weddings, private parties and family celebrations. Bookings taken for lunch, dinner and afternoon tea. Ample parking and easy access. 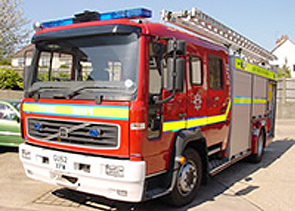 Uckfield Fire Station based in Bell Farm Road is hub for a variety of activities in addition to its primary role as a base for firefighters and their equipment.